CommanderBond.net reports that Craig Cabell’s book The History of 30 Assault Unit: Ian Fleming’s Red Indians was published on October 15th and is available for purchase via Amazon.co.uk. 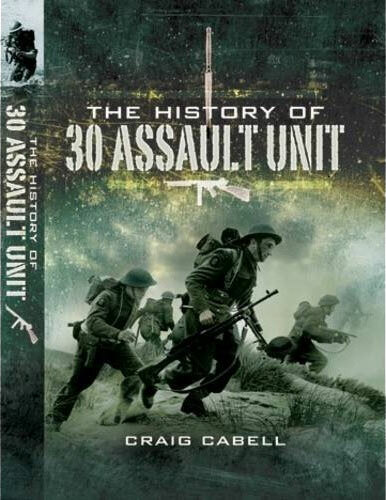 Looks to be a pretty cool book that tells the full history of 30AU that Fleming commanded during World War II. Also known as “Ian Fleming’s Red Indians”, the unit was a highly successful and specially trained commando group that worked behind enemy lines while Fleming planned and coordinated their missions to the ‘T’ in London. Bond fans may recognize the usage of “Red Indians” in a couple of Fleming’s books, specifically Casino Royale where Bond essentially scolds himself for gallivanting around the world playing “Red Indians” while the real threat was right under his nose. For more on 30 AU there’s always Wikipedia, but this website is even better.